The Omnio Stroller is a revolutionary pushchair which transforms from a generously-sized push along buggy into a compact, carry along backpack. It was initially developed by parents to solve their “Do I need to take my stroller, or will I risk leaving it at home?” dilemma, and they have developed a high quality, robust, every day stroller that will also be perfect for travel. When the Omnio is folded it can be carried as a backpack, leaving both hands free. Its compact fold means it will fit easily under a café table, or in an overhead locker on a train or plane. 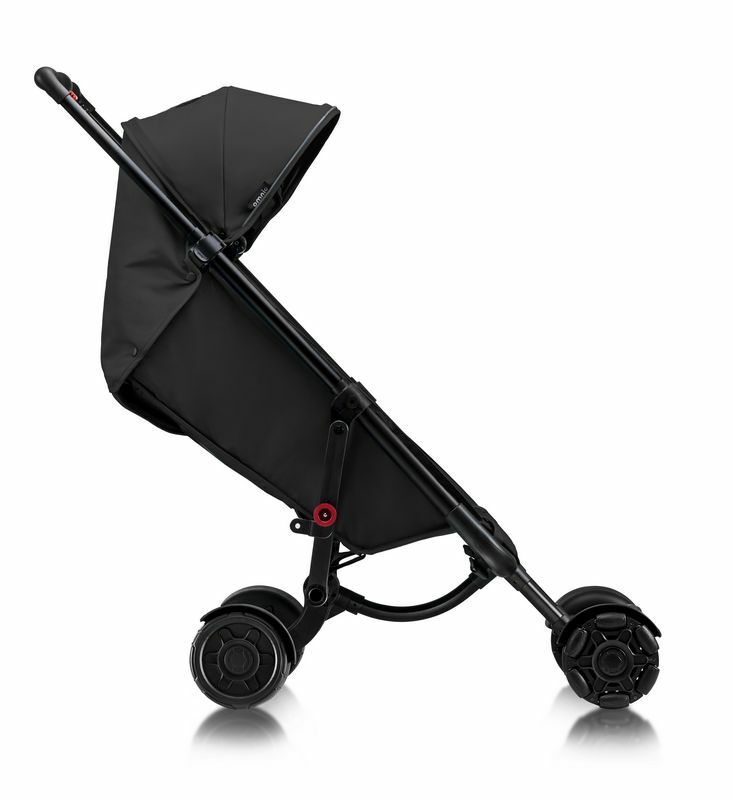 The Omnio Stroller looks to be equally be at home on solid ground around shops, on forest tracks, when cycling, in the car or on public transport. 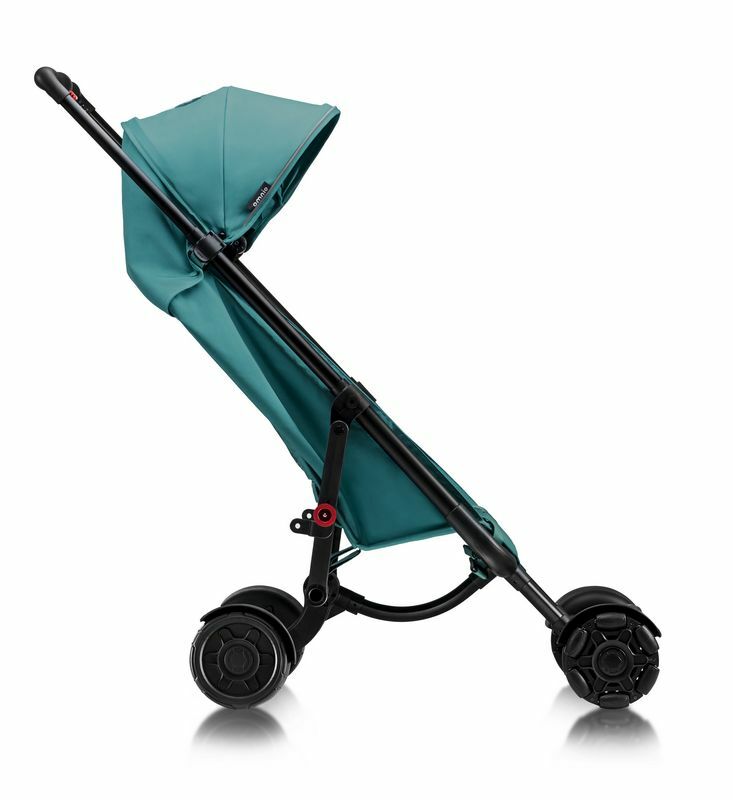 Weighing just 7.5kgs the Omnio Stroller will be very easy to push and steer, due to the innovative use of omni-wheels instead of traditional caster wheels. 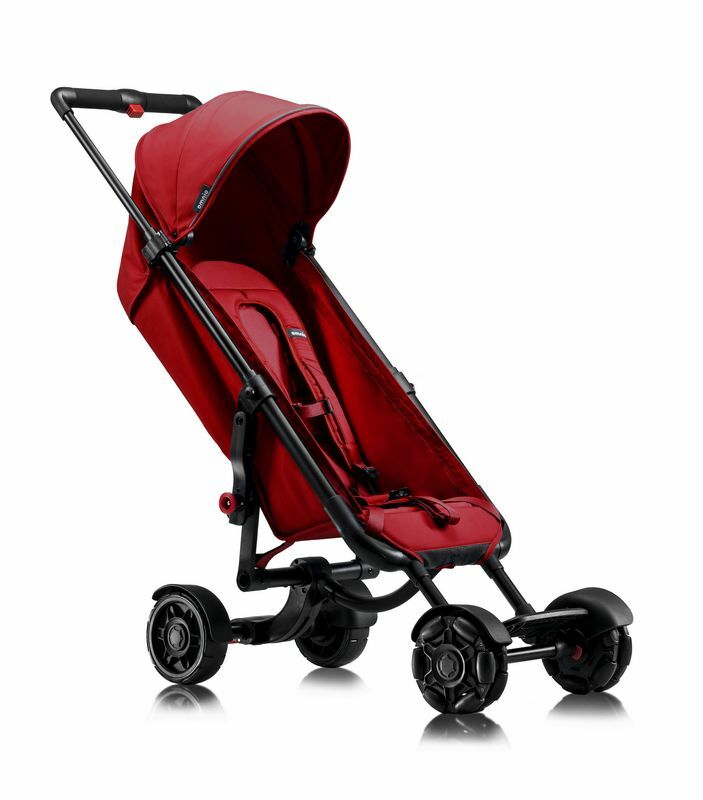 It’s also designed to carry heavier children, up to 22kg, than many other strollers on the market. Lightweight. Compact fold. Rucksack straps for easy carrying. Within most airline’s cabin bag restrictions, thus will fit in a plane cabin's overhead locker. Easy to fold and unfold. Puncture proof rugged wheels suitable for most terrains. High weight limit. Sturdy foot rest. Adjustable handle. Very easy to steer. Wheels removable for washing. 6 point harness. Recline. Sun canopy UPF 50+with colour-matched mesh to help diffuse sunlight. Rain Cover. Competitively priced. Only a small recline - suitable enough for a napping older toddler, but not suitable for a newborn. 4 innovative puncture proof wheels The front wheels are innovative omni-wheels – the only stroller on the market to use these. They are a wheel-in-a-wheel design and offer great manoeverability and agility. They also keep the weight of the pushchair at the front, thus reducing the probability of the stroller tipping over. The Omnio Stroller has a 6 point harness (our system will not allow for this option) Wide footrest to allow a little one to clamber on board which can be folded out of the way. Adjustable recline. Unique wearable design – fully-adjustable padded backpack harness. All 4 wheels and mudguards are quick release and can be washed in warm, soapy water. 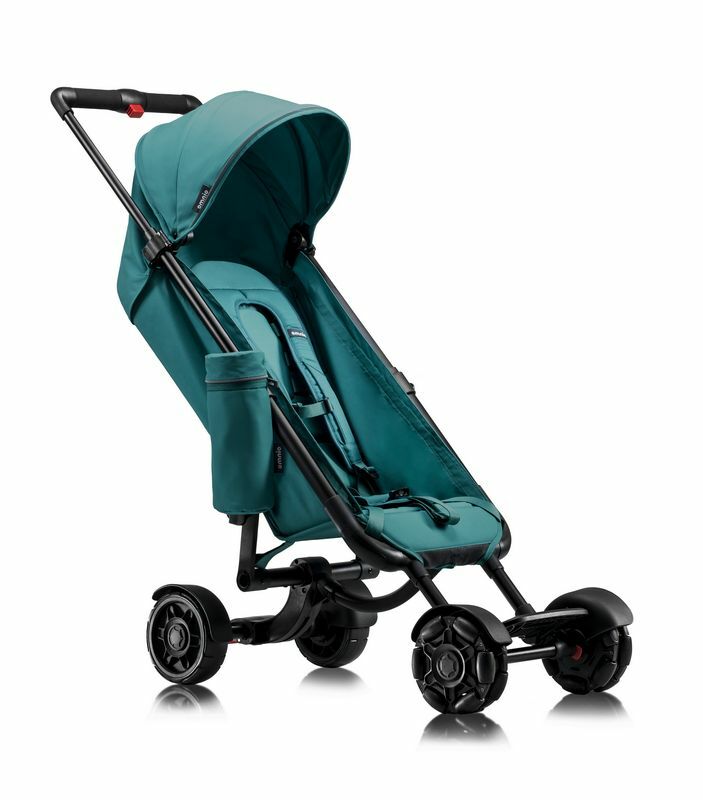 Omnio Strollers will be available to buy in 2017. They can be reserved via the omnioworld website.